The Milwaukee Brewers won all seven games on their road trip and ran their win streak to 8-straight games with a 6-1 victory over the Cincinnati Reds at Great American Ballpark. 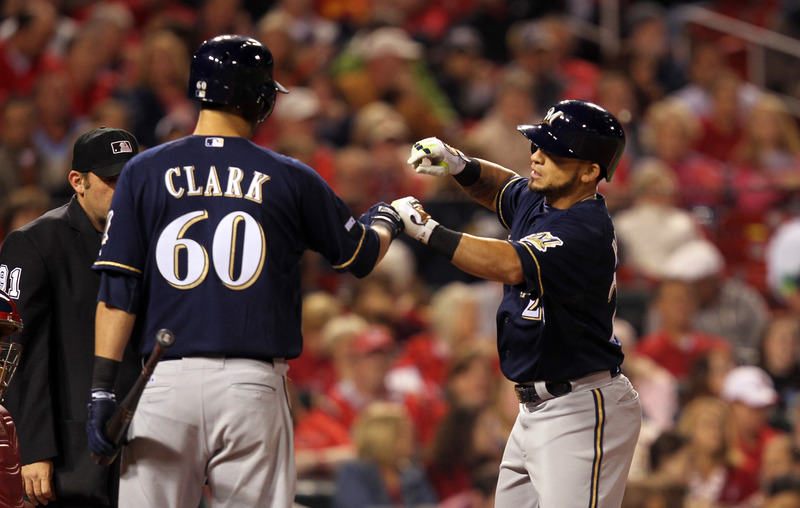 Gerardo Parra (7th) and Adam Lind (14th) both homered for the Brewers, who pounded out 13 hits in the win. 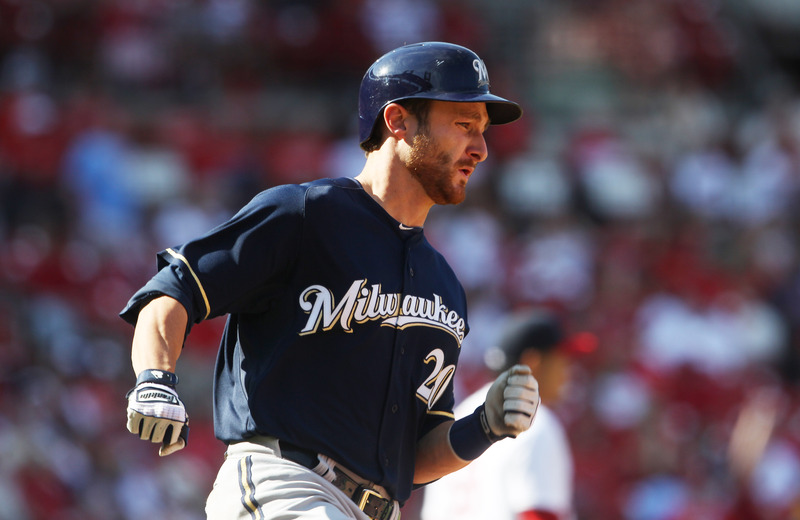 The Brewers put together double figures in hits in each of the seven road games. They hit .364 as a team during that stretch. The Milwaukee Brewers continued their torrid hitting pace in Saturday’s 7-3 win over the Cincinnati Reds at Great American Ballpark. The win extended the Brewers win streak to seven straight games, the last six coming on the road. The 7-game streak is the longest for the Brewers since they won nine straight in April of last season. The Brewers broke open a 1-1 tie in the fifth when they scored six times, sending 12 hitters to the plate. On a rainy night in Philadelphia, the Milwaukee Brewers scored a pair of 8th inning runs to come from behind to beat the Phillies 4-3. Aramis Ramirez singled to drive in the tying run and Adam Lind walked with the bases loaded to give the Brewers the winning run to win for the 6th time in the last 8 games. The Brewers then escaped jams in both the 8th and 9th innings to hang on for the win. Francisco Rodriguez worked the 9th to earn his 17th save in as many chances this season. Rodriguez has also saved 22 straight games, dating back to last season. Ramirez drove in three runs in all and Ryan Braun added four more hits against the Phillies. 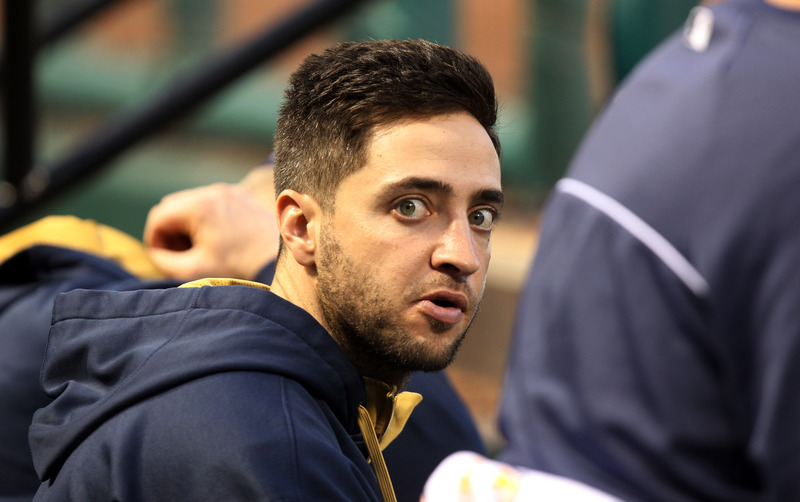 Braun has a .438 career batting average (42 for 96) with 10 homers and 25 rbi’s in 24 games at Philadelphia. Rookie Taylor Jungmann got the start on the mound and battled through six innings. He allowed five hits and three runs with two walks and four strikeouts. Jungmann worked through a couple of early jams to work his way out of trouble. Kyle Lohse (4-9) pitches the third game of the series for the Brewers tonight. Aaron Harang (4-10) gets the start for the Phillies (6:05 p.m.). The Milwaukee Brewers fell behind 4-1 after two innings, then buckled down and rebounded for a 7-4 win over the Philadelphia Phillies in their series opener Monday night. Jonathan Lucroy had four hits and two rbi’s, Ryan Braun added three hits and Aramis Ramirez put the Brewers in front 5-4 in the 6th with a pinch-hit, 2-run double. Jimmy Nelson (5-8, 4.48 ERA) pitched five innings for the win, despite giving up four runs in the first two innings. Relievers Neal Cotts, Michael Blazek, Jeremy Jeffress, Will Smith and Francisco Rodriguez combined to blank the Phillies on three hits over the final four innings. Rodriguez picked up his 16th save in as many chances. The Brewers got 12 hits and six runs off of Phillies starter Sean O’Sullivan. The Brewers (30-48) will send rookie Taylor Jungmann (2-1, 2.74 ERA) to the mound in game two of the series tonight. Cole Hamels (5-6) pitches for the Phillies (27-51). The Brewers have won five of their last seven games overall. The Milwaukee Brewers entered last night’s game at Coors Field with the worst ranked offense in Major League Baseball. 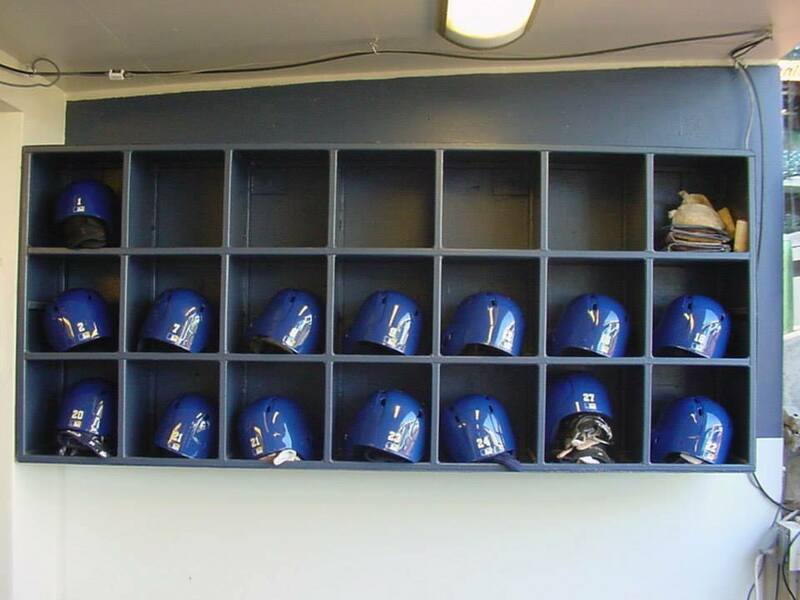 For at least one night, that offense came to life, pounding out 16-hits in a 9-5 win over the Colorado Rockies. The win brought to an end a 6-game losing streak. Every member of the Brewers starting lineup collected at least 1-hit, including starting pitcher Taylor Jungmann, who collected his first Major League hit. 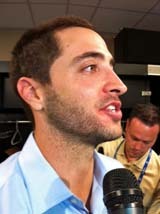 Ryan Braun and Aramis Ramirez clubbed first-inning home runs, helping the Brewers jump out to a 6-0 lead. Jungmann made it stand up, holding the Rockies to 4-runs on 8 hits in six innings to pick up the victory. Jungmann improved to 2-1 since coming to the Brewers from Class AAA Colorado Springs. Game two of the series is tonight. 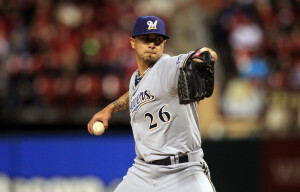 Kyle Lohse (3-8, 6.44 ERA) goes for the Brewers. Chad Bettis (2-2, 3.74) gets the nod for the Rockies. The Milwaukee Brewers claimed third baseman Matt Dominguez off of waivers from the Houston Astros on Tuesday. They assigned him to Class AAA Colorado Springs. The 24-year-old Dominguez, was the 12th overall pick in the 2007 draft by the Florida Marlins. Dominguez was playing at Class AAA Fresno and hitting .251 with four homers and 26 RBI. In the majors, Dominguez is a career .233 hitter with 42 home runs and 152 runs batted in. 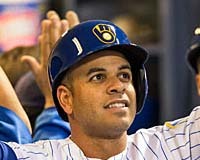 Brewers third baseman Aramis Ramirez name has come up in trade discussions. Dominquez would appear to be insurance if the Brewers do move forward with a future deal involving Ramirez. To make room on the 40-man roster for Dominguez, the Brewers designated left-hander Wei-Chung Wang for assignment. Wang has been pitching at Class A Brevard County. Aramis Ramirez doubled three times and drove in five runs to lead the Milwaukee Brewers to a 8-4 win over the Washington Nationals at Miller Park on Friday night. Ramirez put the Brewers up 2-0 in the first with his ninth double of the season. His 10th drive in a run in the third, then his 11th drove in two runs in the Brewers’ four-run fourth inning. 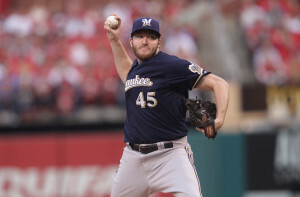 Taylor Jungmann not only held off the Pirates on Tuesday night and winning his Major League debut, the performance will lead to a second start on Sunday against the Washington Nationals at Miller Park. Jungmann held the Pirates to a run on three hits in seven innings to pitch the Milwaukee Brewers to a 4-1 victory over the Pittsburgh Pirates at PNC Park. 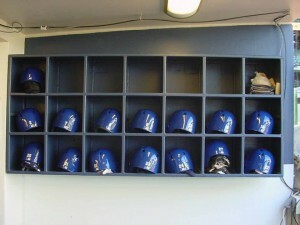 The 2011 first-round draft pick walked one and struck out five in his debut. He retired 13 hitters in a row during one stretch. 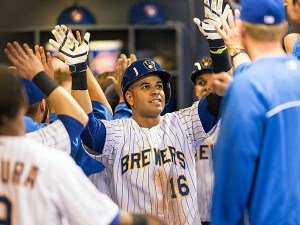 The Brewers got home runs from Jason Rogers and Aramis Ramirez in the victory. The Pirates only run came on Starling Marte’s home run off of Jungmann in the second. Francisco Rodriguez worked the 9th inning for his 12th save in 12 tries this season. The Brewers send Kyle Lohse (3-6, 6.59 ERA) to the mound in the series finale tonight. He’ll face Charlie Morton (3-0, 2.84) of the Pirates. The Brewers are in search of their first series sweep of the season. If Tyler Cravy was nervous about his major league pitching debut, he certainly didn’t show it. 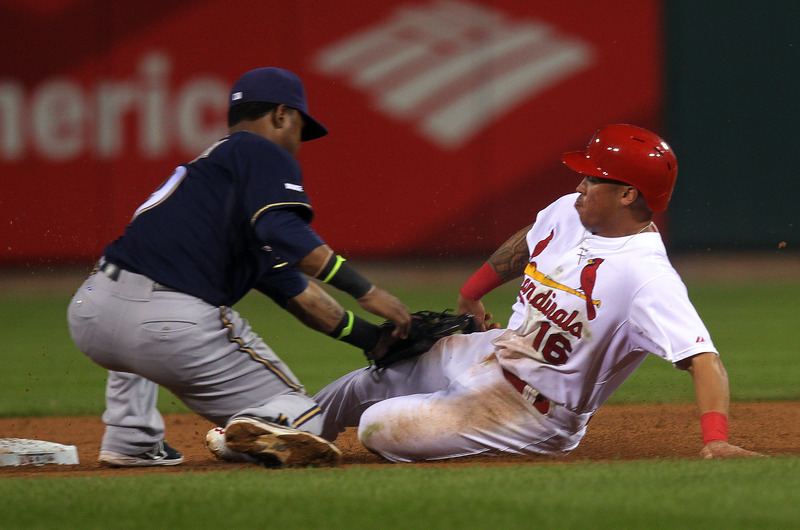 The Brewers rookie held the St. Louis Cardinals to a run on four hits while walking two and striking out six in seven innings, unfortunately he got no offensive support in a 1-0 loss at Busch Stadium. Cravy (0-1) was outdueled by Cardinal Lance Lynn, who held the Brewers scoreless for 7 2/3 innings. Cravy entered the game with a 5-4 record and a 4.04 earned run average in nine starts at Class AAA Colorado Springs. But he had wins in his last three starts.